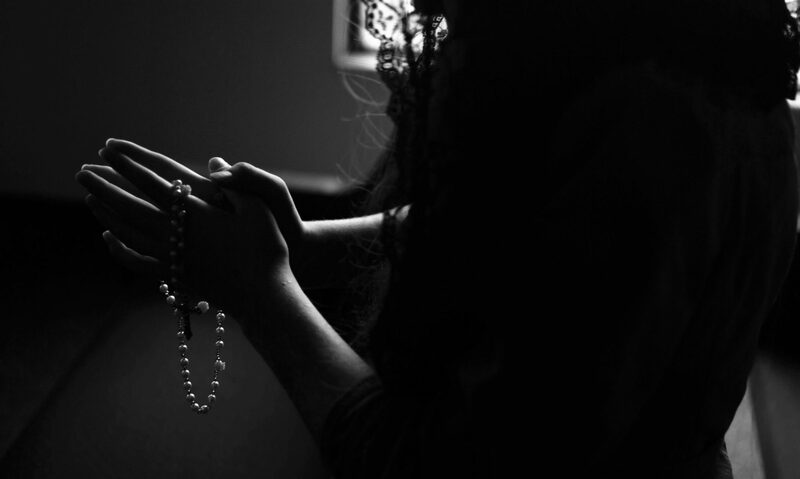 For a while now, I’ve been praying my Rosary totally inside my head. Of course there’s the guilt … maybe I’m doing it wrong! But I also know that God is in everything, and silent prayer is a powerful part of our tradition. So I figure that God, Mary, Jesus and the saints can hear me even when it’s just in my head. What’s interesting is that I find it MUCH harder to stay on track when it’s just in my head. I lose the thread quite easily, and even switch from one prayer to another right in the middle. So it’s good mental discipline for me to try to stay focused as much as I would if I were speaking out loud. And I do need discipline and focus in my prayer life.